A QUALIFICATION for accountants here is to be tweaked in a push to strengthen the talent pipeline for the local sector. The Association of Chartered Certified Accountants (ACCA) and Institute of Singapore Chartered Accountants (ISCA) struck a partnership deal yesterday. 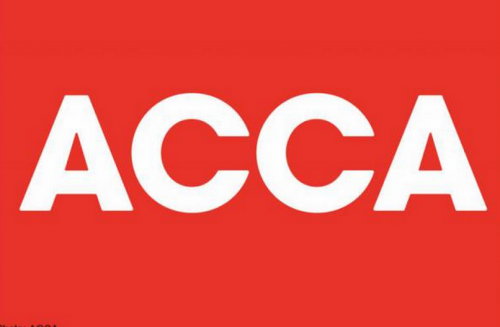 Under this, ISCA will revise the Fundamentals-level qualification offered by ACCA, the global accountancy body with 170,000 members in 180 countries. The qualification comprises nine papers. ISCA will revise the papers on taxation and corporate and business law to reflect the legal environment here. ACCA Singapore's head of learning Steve Lee Wee Jin said ISCA would look for experts to work with ACCA on its annual syllabus review. Students who complete the Fundamentals-level course get an advanced diploma in accounting and business, which ACCA said is recognised as equivalent to a bachelor's degree in Britain and the European Union. They can then choose to pursue the Professional-level course. At the announcement yesterday, Mr Lee said that the about 7,000 students here now studying at the Fundamentals level would be automatically enrolled in the new joint programme. He estimated that the new papers would be available next year. ISCA chief executive Lee Fook Chiew said ISCA would continue to separately offer courses in local tax and business law. The two bodies also agreed on joint measures to lift job opportunities for students of accounting. ACCA will start a regional internship programme open to students at both the Fundamentals and Professional levels. Now, only internships here are available, and the programme is open only to Professional-level students. The groups will also offer students and professionals career guidance, organise career fairs and provide prizes and scholarships for outstanding students. Mr Steve Lee referred to the 2010 goal set by the Committee to Develop the Accountancy Sector for accountancy to contribute 1 per cent of economic output here by 2020. This figure stood at 0.4 per cent in 2010. He said the partnership aimed to "feed the anticipated demand". ISCA is the administrator of the Singapore Qualification Programme, and the entity that confers the Chartered Accountant of Singapore designation.